Rhythm is the UK's best-selling drum magazine. Every issue of Rhythm is jam packed with exclusive interviews with the hottest players in the world, brilliant features covering every aspect of the drumming universe, independent advice on the latest gear from our team of experts, and all the news, reviews, gigs and gossip you could ever possibly want..
Be the first person to tell us what you think about Rhythm and you'll save $5 on your next purchase! 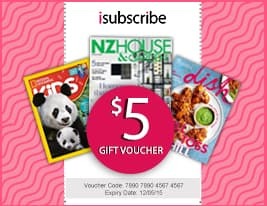 https://www.isubscribe.co.nz/rhythm-digital-subscription.cfm 14914 Rhythm https://www.isubscribe.co.nz/images/covers/nz/541/14914/square/Rhythm143201904711.jpg NZD InStock /Digital/Music/Popular Rhythm: Every drummer needs it!